TThe Smart Investor has collected card information independently. Issuers did not provide the details, nor are they responsible for their accuracy. The review is not a recommendation, the actual rates/fees may be different. The Barclaycard Ring Mastercard is a credit card with a singular combination of features. It may be an excellent choice for certain consumers, namely those with an interest in travel and an eye for low-interest rates. With no annual fee, a 0% introductory ARP, and low rates after the introductory period, this card gets high marks for affordability. Barclays is a digital U.S. bank that operates all over the world. This bank prides itself on convenient personal banking and low rates, which is evident in the features offered by their consumer credit card programs. The Barclaycard Ring Mastercard is no exception, providing user-friendly features like free online access to your FICO Credit Score. While its lack of a rewards program is a setback when compared to similar cards, the Barclaycard Ring Mastercard has other upsides to consider, especially for frequent overseas travelers. Why’s that, you may ask? There are no foreign transaction fees on international purchases and the card includes an international chip and PIN that you can use at self-service chip terminals all across the globe. So, whether you travel regularly for work or are planning a lengthy foreign adventure, the Barclaycard Ring Mastercard should be near the top of your list of credit cards to consider. If earning rewards from credit card purchases is a priority for you, this credit card is not a good fit. The 0% introductory APR is a notable perk that may enable some consumers to pay off existing credit card debt with less interest. The variable 13.99% APR is quite low when compared to the interest rates on other cards, making this card a reasonable choice for consumers who carry credit card debt. What makes the Barclaycard Ring Mastercard stand apart from the rest? The following features and benefits are essential components of this credit card program and are certainly worth your consideration. Where affordability is concerned, a credit card with no annual fee is important for a large number of consumers. The Barclaycard ticks that box with zero annual fee, guaranteed..
A 0% introductory APR applies to each balance transfer made within 45 days of your account opening for the first 15 billing cycles. This perk may be particularly attractive for consumers looking to pay off debt through an interest-free balance transfer. However, consumers should be certain that the debt can be paid off within the first 15 months, before the variable 13.99% APR kicks in. The Blue Cash Preferred Card from American Express has a variable APR of 14.9% to 25.99%. The Chase Freedom Unlimited card has a variable APR of 16.99% to 25.74%. The Club Carlson Rewards Visa Signature card from U.S. Bank has a variable APR of 15.74% to 24.74%. The fee on balance transfers posted within 45 days of an account opening are the greater of $5 or 2% of the transfer amount. After the 45-day period, the Balance Transfer fee is $0. Overseas travelers can rejoice with the Barclaycard Ring Mastercard’s zero foreign transaction fees on international purchases. You can bring this card along on your global adventures and make fee-free purchases. Staying educated on your finances is essential. This card makes it easy to do just that by granting cardholders free access to their up-to-date FICO Credit Score. While the Barclaycard Ring Mastercard is a well-rounded credit card and is undoubtedly a great choice for many consumers, it’s lacking a rewards program, especially when compared to other cards. Credit card cash back programs can bring you a sizable financial bonus when you select the right one for you. Some cards offer cash back on categories, such a groceries, dining, or travel. Cardholders may receive cashback as a percentage of the purchase amount or as points that may be redeemed for rewards. The Barclaycard Ring Mastercard doesn’t have a cash back rewards program, which is a significant downside. If earning rewards from credit card purchases is a priority for you, this credit card is not a good fit. A selection of credit cards offer cardholders a statement credit for signing up. The amount of this credit varies, but it’s an easy way to get money back into your pocket through a consumer credit card. Credit cards also occasionally offer a bonus when cardholders spend a certain amount in a set period of time. For instance, with the Chase Freedom Unlimited card, cardholders earn a $150 bonus after spending $500 on purchases in the first three months following the account opening. 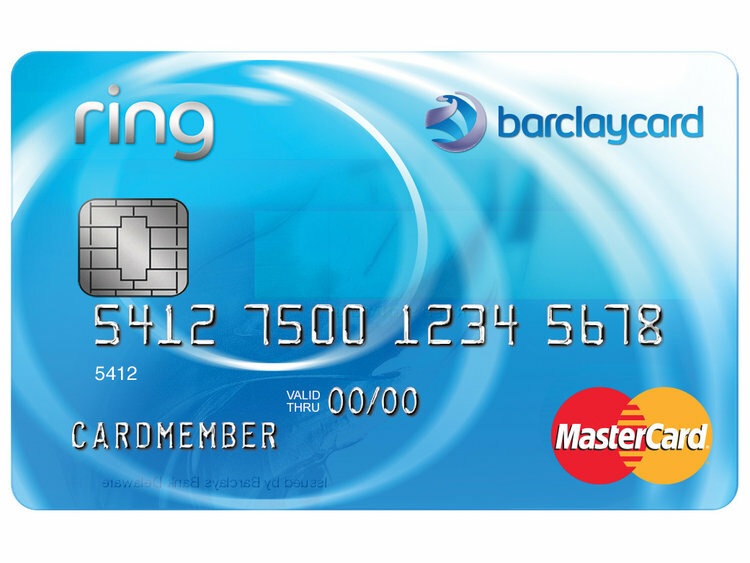 Unfortunately, the Barclaycard Ring Mastercard doesn’t offer a statement credit to new cardholders, nor does it offer a spending bonus. When compared to other cards, this is a definite drawback that needs to be considered.